The grand opening of the Shanghai Disney Resort is nearly here! Whether you are one of the lucky early birds who scored a sold-out ticket for the first two weeks of opening, or if you are still in the planning phase of the dream Shanghai Disney vacation, there will be a ton of major differences that are unique to the Shanghai Disney that you want to be aware of. If you want to prepare yourself for the supercalifragilisticexpialidocious madness that will be the Shanghai Disney – read on to see what to expect! 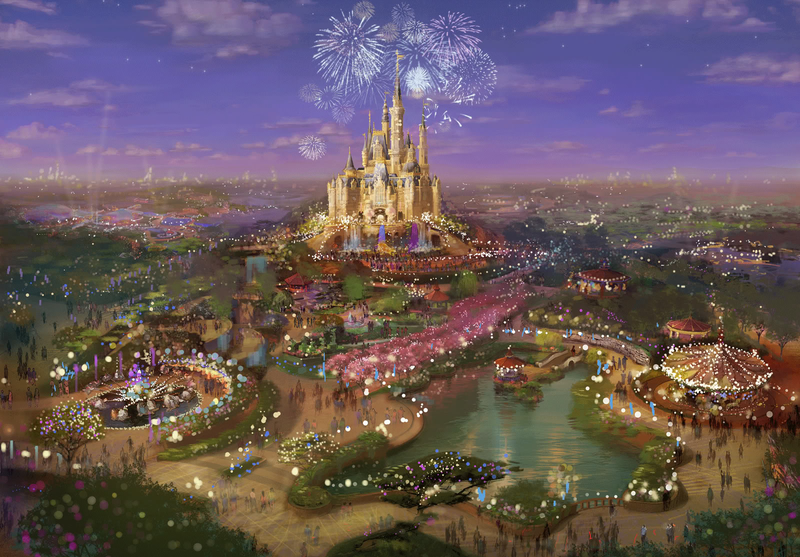 The Shanghai Disney Resort is one of Walt Disney Parks and Resorts’ most ambitious projects – and the ambition certainly shows in the creatively re-imagined attractions. Warning – spoilers ahead! Ahoy, Shanghai! Unlike previous Disney Resorts, Shanghai Disneyland will have a whole section of the park dedicated to Pirates of the Caribbean, entitled "Treasure Cove." The mainland China version of the Pirates of the Caribbean ride just might be the most immersive ride Disney has ever built - combining the greatest hits of the Anaheim classic with new high-definition advanced animations. Between the boats, water (both animated and real! ), slick production design, and tons of spinning - you will feel like you've been transported right into the middle of the famous battle scene. Pirates of the Caribbean was one of the most successful Disney franchises in China, so it makes sense they would cater an attraction to this particular demographic. Sleek, futuristic, dark, and slightly scary. 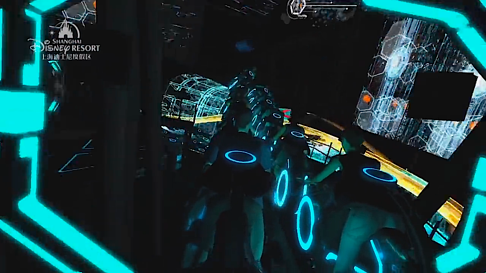 Tron Light cycle Power Run is Disney’s first ride that is devoted to the cult classic “Tron.” This indoor roller coaster stylized as motorcycles will have you racing at high speed through bursts of fluorescent lights, colors, and sounds. In an exclusive feature that's specially designed to appeal to Chinese visitors, the Shanghai Disney Park includes an 11 acre garden that features the 12 animals of the Chinese Zodiac. In a uniquely Disney spin – each of the 12 animals are actually represented by Disney and Disney-Pixar characters. Certainly the casting process must have been tough (there’s more than one famous mouse at Disney! ), and it was actually difficult to name a famous Disney sheep without consulting the list. Readers, do you recognize the character for your zodiac? One of Disney's most successful films to date, "Frozen" has warranted a permanent attraction in Shanghai Disneyland. Kids (and adults!) will enjoy unleashing their inner Anna and Elsa at this sing-a-long performance. All the songs have been translated into Mandarin Chinese. As a country that loves its karaoke, you can be sure that this attraction will be a big hit. 1) The Food - You can definitely expect Disney classics such as waffles shaped like Donald Duck, but the cuisine served at Disney Shanghai will mainly cater to an Asian palate - with the official breakdown being 70% Chinese, 20% Asian, and 10% Western. 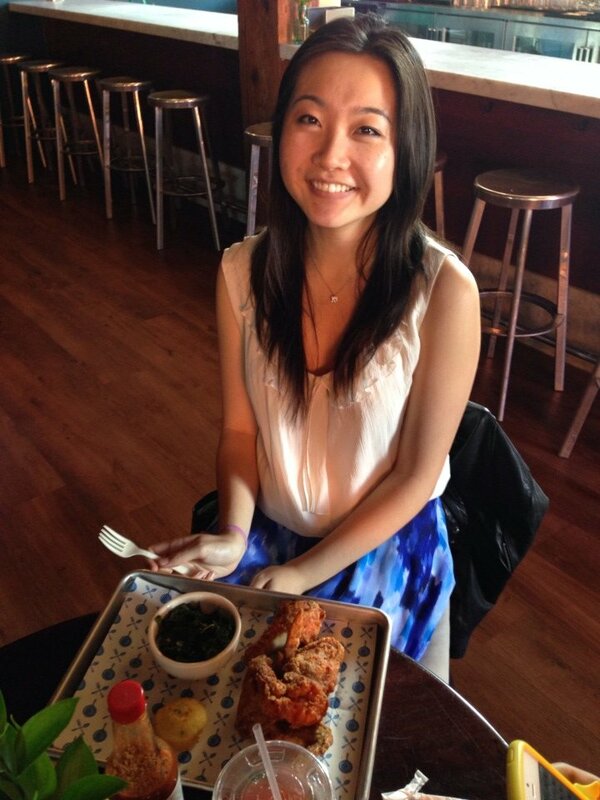 What are some of the Chinese dishes on the menu? Well, a Peking Duck pizza shaped like Mickey, Xiao Long Bao (soup dumplings), and a large variety of rice-based Chinese stir-fries and braised dishes. The food will certainly be pricy - be prepared to shell out a few hundred RMB for a day's worth of meals. 2) The Heat - The summer heat in Shanghai is no joke - the daytime temperature regularly climbs above 90 degrees in the summer, with a nasty dose of humidity, too. At the 2010 World Expo, large water-spraying fans had to be brought out to help cool down the crowd. Make sure to always have a water bottle in hand! 3) The Crowd - If the up to 4 hour lines at the 2010 World Expo held in Shanghai gives any indication of how insanely long the lines can get at Disney Shanghai – you might have to prepare for a long wait. Even at the soft-opening of the park ahead of the official June 16th open, it could take up to an hour to queue for a single attraction. First, try to go on weekdays to avoid the crowd. You may want to plan your visit for September when students are back in school and the summer rush is over. Also, many Chinese markers and street vendors sell collapsible plastic chairs that fold into the size of a large hardcover book. Having one of those on hand could make queuing a lot more tolerable. Lastly, chat up your neighbors! Standing in queue is the perfect opportunity to chat up people that you normally would not have met and practice your Chinese. You already know you and your neighbor have one thing in common: you both love Disney! Having a fun and engaging conversation will make the time go by much faster. The Shanghai Disney Resort will be unlike any other in the world, promising an "authentically Disney and distinctively Chinese" experience. The park officially opens June 16th. After reading this article, do you feel ready to visit Disney Shanghai like a Pro? Let us know in the comments below! Want To Learn Chinese? Try TutorMing!